Conducting interviews into serious workplace issues can be a difficult and sometimes daunting task. Investigative Interviewing - A Guide for Workplace Investigators is a comprehensive guide to steer HR professionals and specialist investigators through the challenging process. 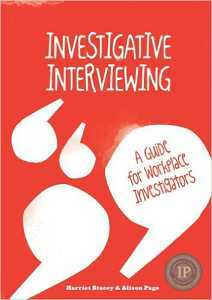 Complied by professional investigator Harriet Stacey and Industrial Relations legal expert Alison Page, this book provides an outline of the rules, theory and practice on workplace investigative interviewing. 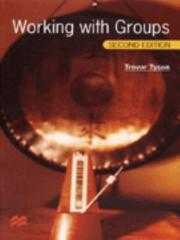 It covers all aspects of workplace interviewing techniques, common pitfalls, gives best practice tips and provides practical skills when interviewing complainants and respondents. Investigative Interviewing is a must have for Investigators, HR Professionals, business managers, psychologists and lawyers.